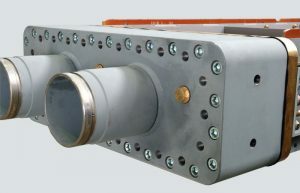 Air cooled closed circuit coolers are designed according to the customers’ requirements and assure exact compliance with their performance specifications. Our finned systems enhance heat exchange to the tube system and allow low material usage without performance loss. Tooling flexibility allows each system to be adjusted with its tube banks side by side or on top of each other, allowing us to meet extreme customer demands. 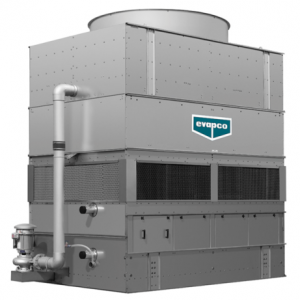 Our many official approvals and certifications allow us to design and manufacture closed circuit coolers for a large variety of applications. 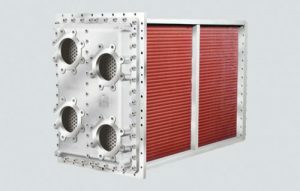 Induced or forced draft closed circuit coolers ensure that process fluid is not exposed to the atmosphere, eliminating exposure to oxygen and other impurities. Construction materials are available in high quality galvanised or stainless steels.